I love this surrealist portrait of Salvador Dali taken by Philippe Halsman. One of my favorite portraits as it captures Dali’s world of dreams and transformation. 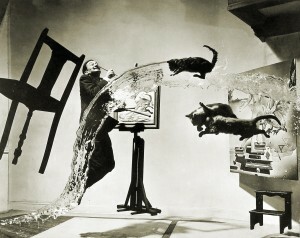 You might enjoy this book by Dali & Halsman from amazon.com. To see more great images by Dali & Halsman visit my bookstore.